It feels strange to be in a dark room surrounded by warmth. IO Echo has provided a cozy blanket of ’90s girl punk with modern electronic rock in their debut album, Ministry of Love. The Los Angeles-based duo embarks on their album with the track, “Shanghai Girls.” Reverb and guitar riffs are limitless when the song peaks off. 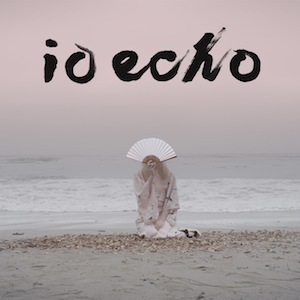 IO Echo layers their music with enough grunge to make you question your authority figures, however, they add a bit of sugar to your ears with an uplifting choir surrounded by bursts of crooning vocals. The album’s self-titled hit, “Ministry of Love,” builds up to an ethereal environment filled with angst and melodic drum thrashings. The song, like most emotional punk songs, never finds an answer to the question, “Where is the sound of your heartbeat?” IO Echo offers the grime found in punk music with layers of goosebump-inducing electronic melodic love. Ministry of Love can “fight the power” without raising a fist – angst is the best when it’s coated with loving vocals.